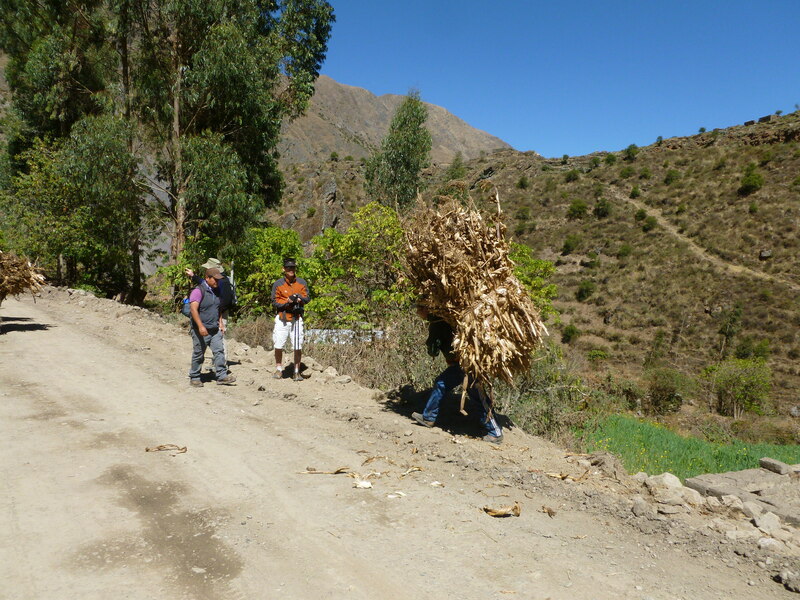 At the trail head we encountered a family that was removing the corn husks from their harvest area. 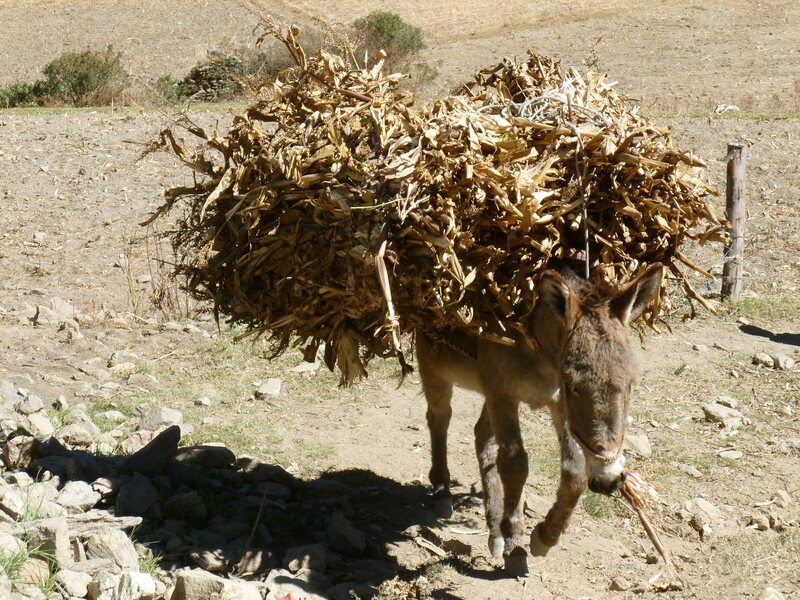 It was interesting to see first hand “beast of burden” – 2 donkeys and 2 horses carrying the load out of the valley. In this case the husks were not heavy, but it was still impressive to see. 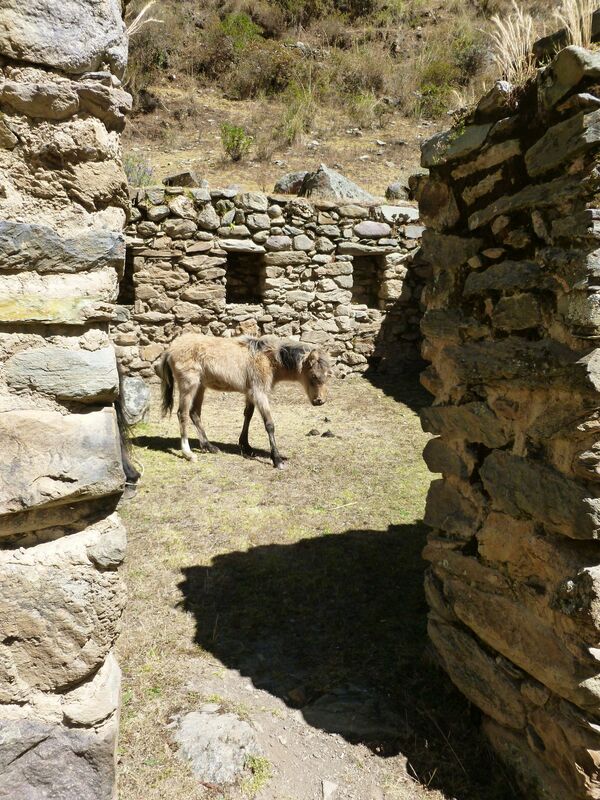 A child who was about 8 years old was responsible for guiding the animals up the hill. He did so with confidence that indicated he had been doing this work for years. The father re-centered and secured the load at the top of the path. 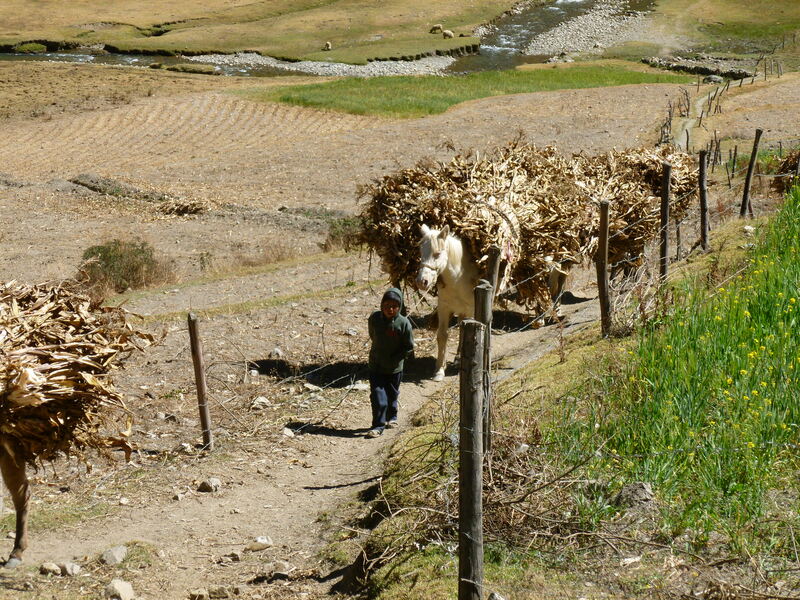 And then carried his own load of corn husks down the road alongside the animals. 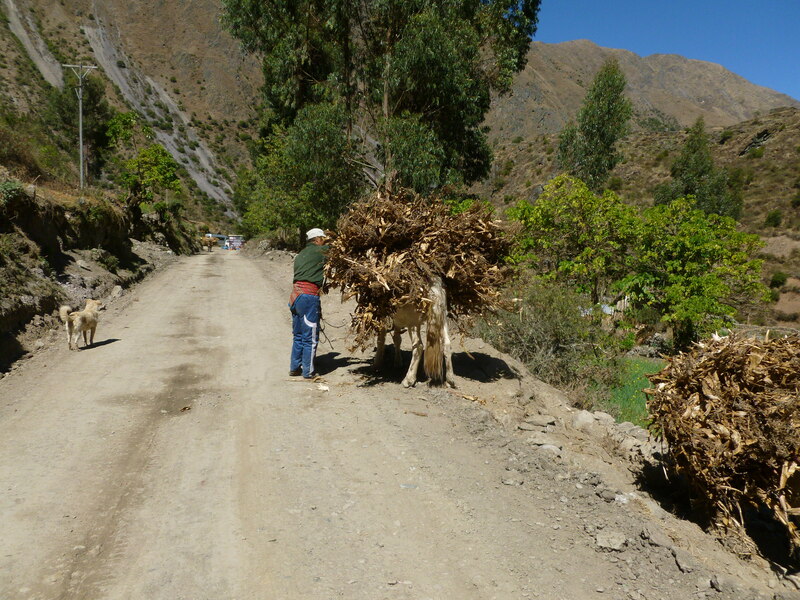 This was one of many examples where we saw first hand just how hard the Andean people work. 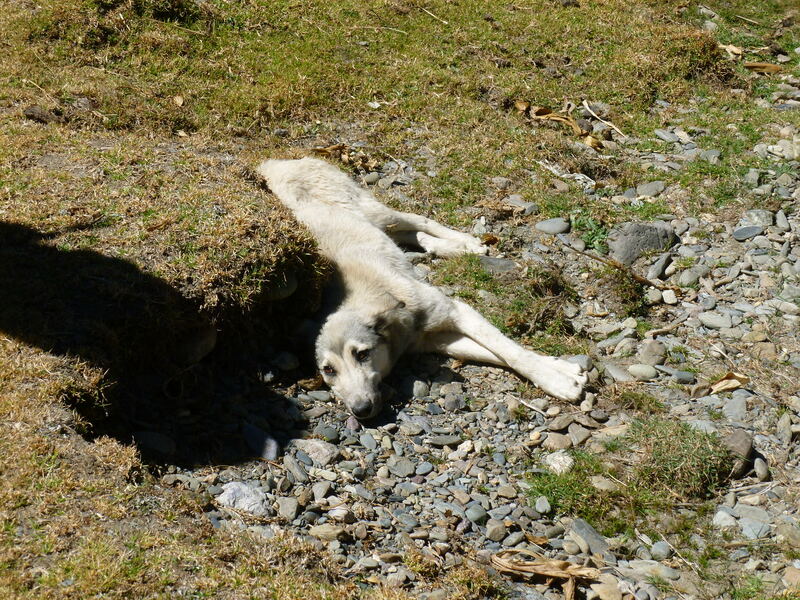 At in the basin there was a girl weaving a textile alongside her children and dogs. At the back of the basin was the first encounter with a ruin in the area. 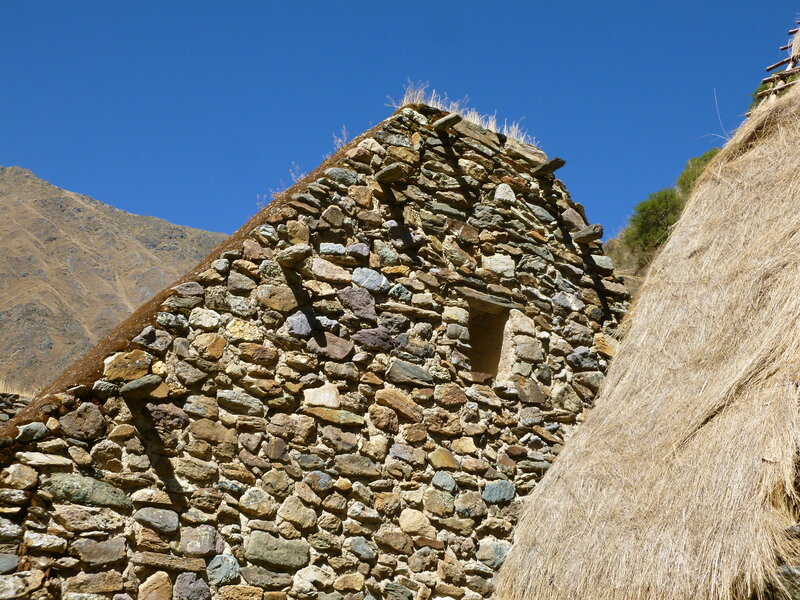 This was a dwelling and had a partial roof that is not actually representative of the roofs of Incan times. Instead, there would be a full roof that is lashed to the horizontal posts. In the dwelling next door we were greeted by several horses. 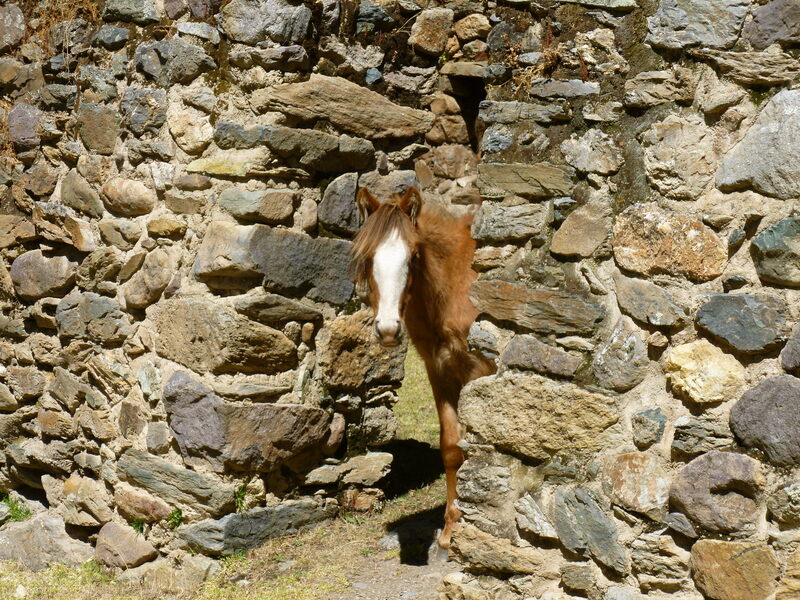 There was even a baby horse who was too shy to come out of the protected area. 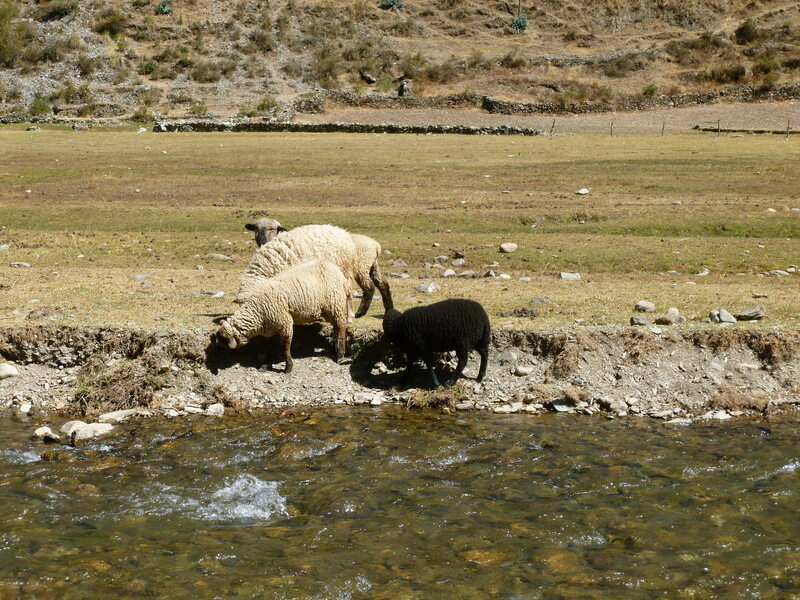 Along the river, we even saw the proverbial black sheep. We were greeted by a spectacular view up the hillside. At the top we encountered a familiar design showing the three levels of life (snake, puma, and condor). 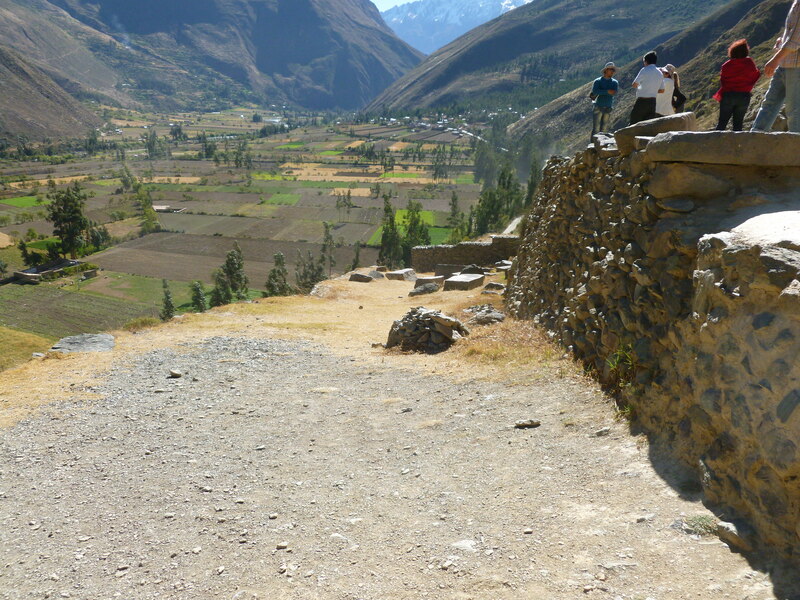 Across the valley we could see additional Incan structures. The Spanish believed that this was a jail based on the shape and size of the chambers. 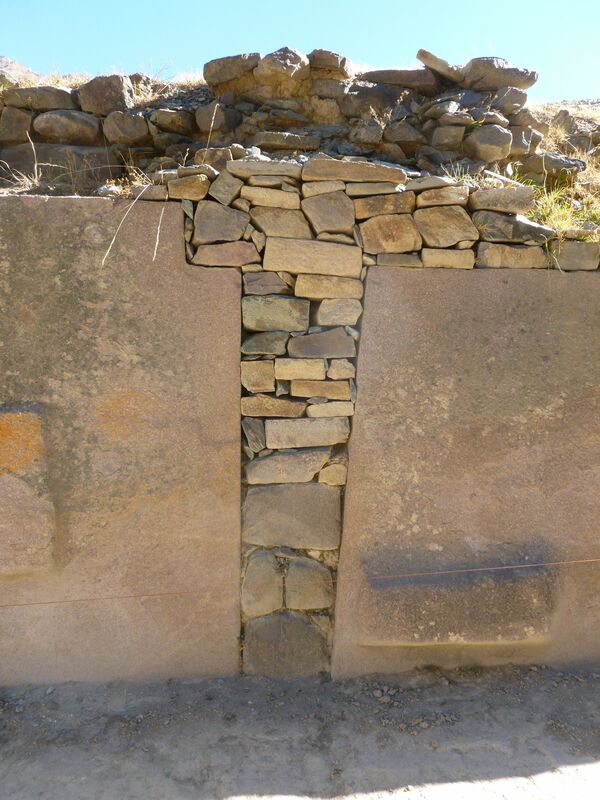 However, the Incan did not have the idea of a jail. The real explanation is much simpler. This structure is a long-term storage structure for grain or other agriculture. 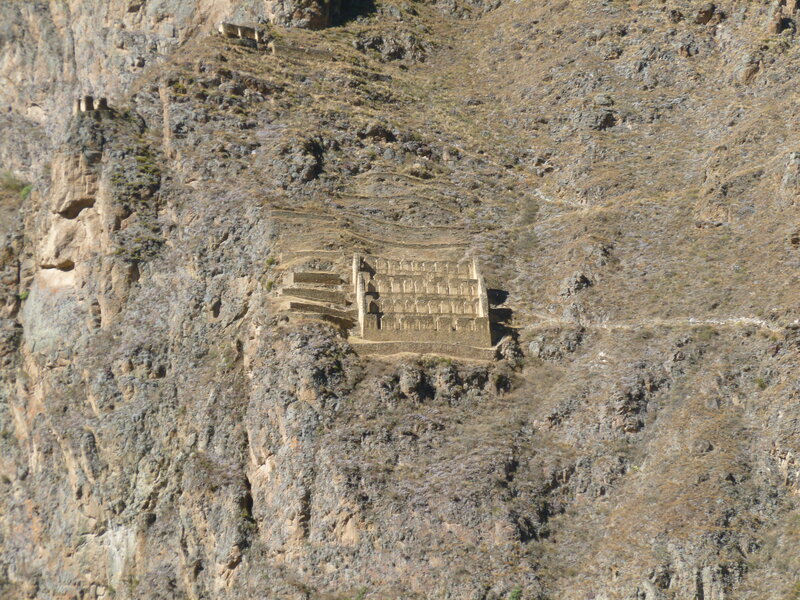 Structures like this are always found where the mountain-side juts out. This allows the wind to consistently blow through the structure to keep the temperature and humidity relatively constant. 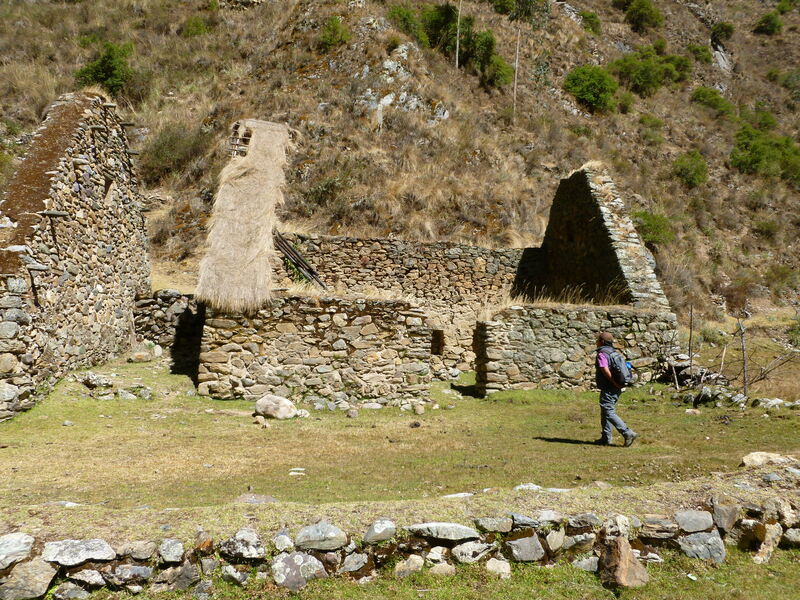 They’ve also found that the Incans used plants with strong scents to keep insects and other threats out of the storage area. 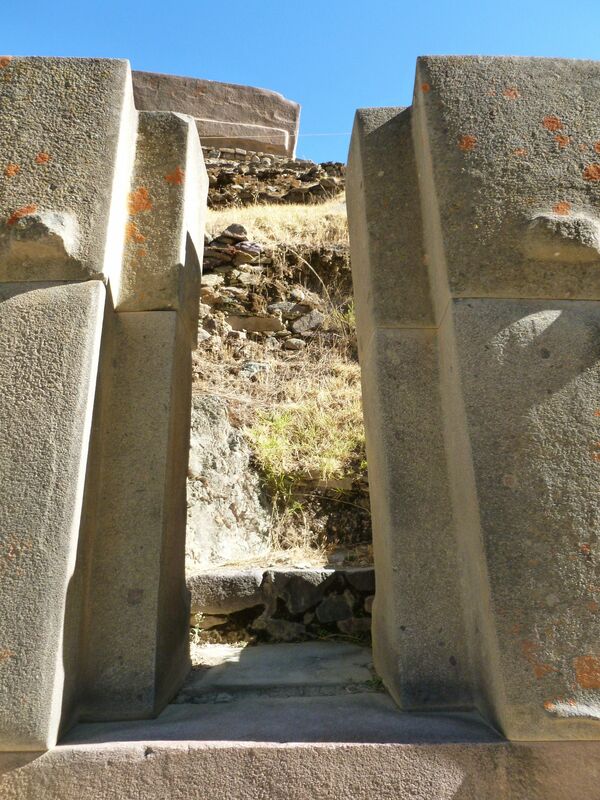 Soon we arrived to the entrance of the Temple of the Sun. 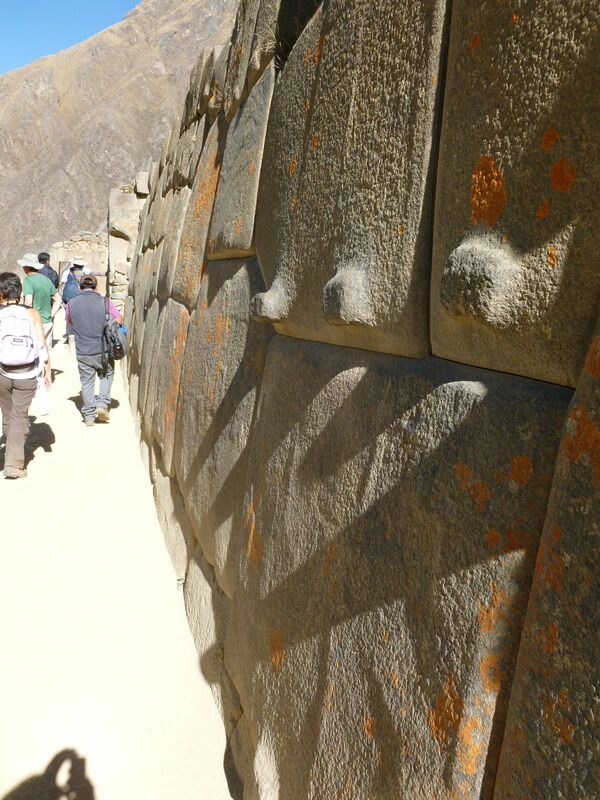 The entrance is marked by the large solid stones that have the multi-level walls. 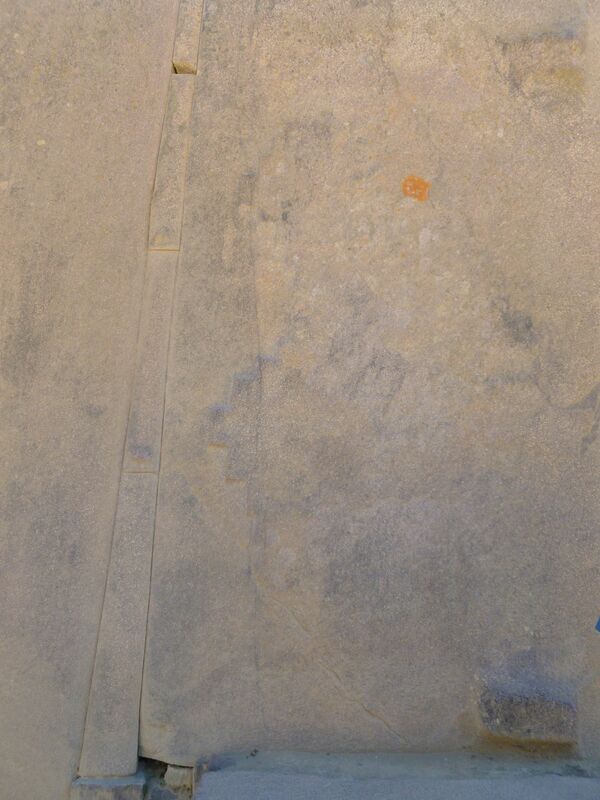 There are nubs throughout the walls in the temple whose purpose may not be immediately obvious. During the solstice, the shadows created from the nubs all line up with each other. This temple is special because it was apparently unfinished. 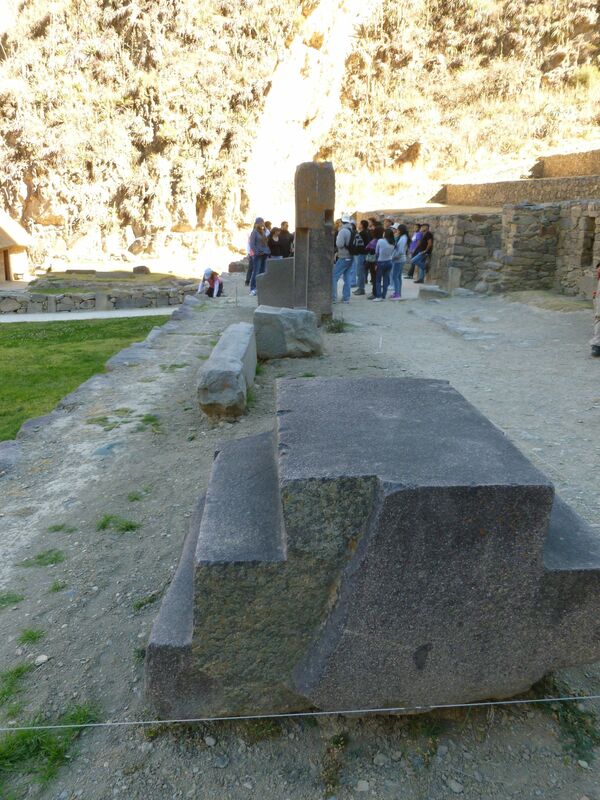 For example, at the top, there is a massive stone which has not been put into its final position. 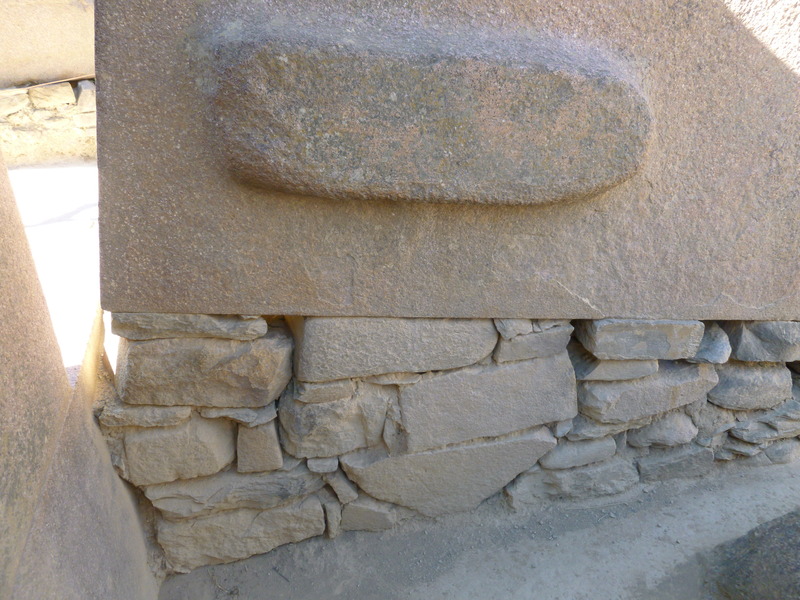 The small rocks underneath serve as a ramp for moving the large stone into its final position. 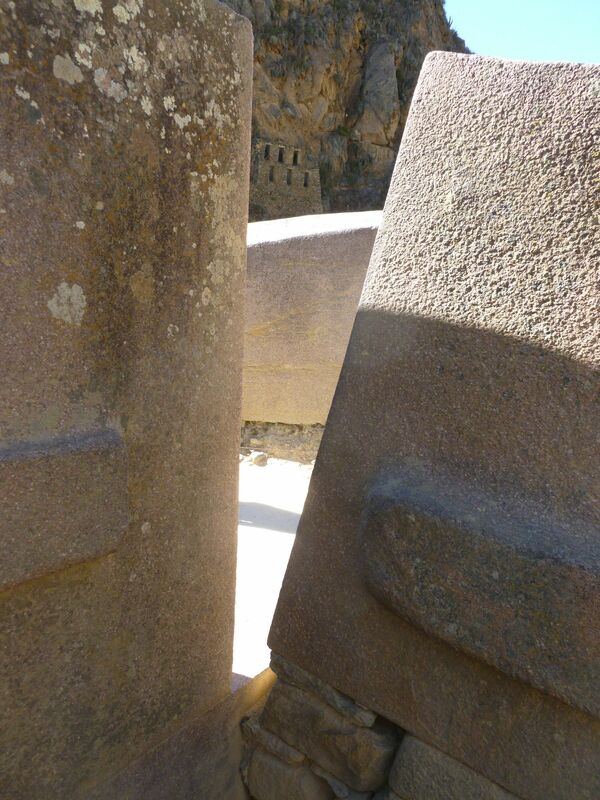 It appears that the seam between this rock and the adjoining rock was still being refined. All of these rocks originated on the other side of the valley. 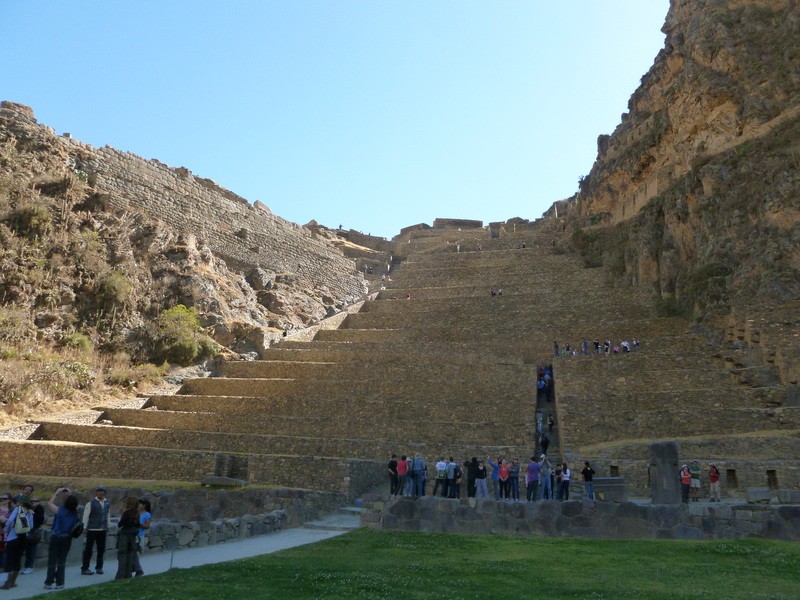 They were transported several miles across a valley and up this ramp to the temple. There is other evidence that the temple was never completed. 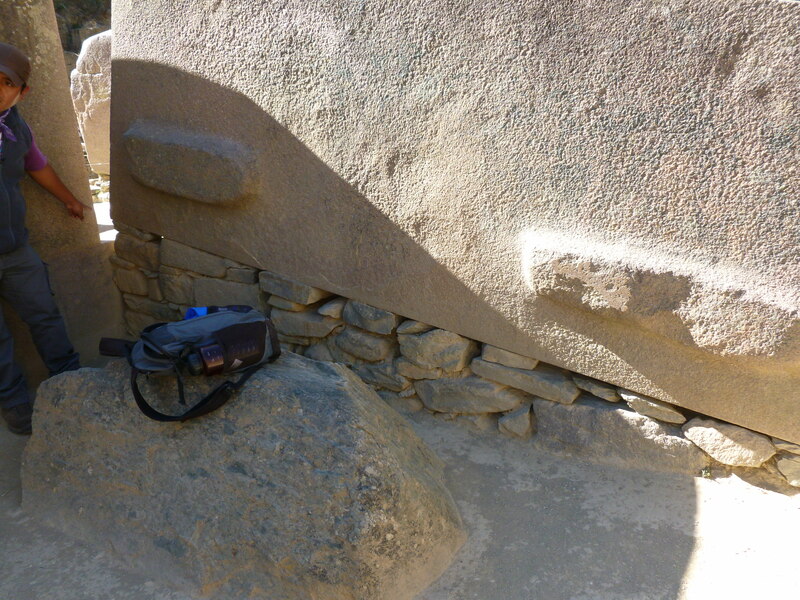 For example, these two large stones are joined by many small temporary rocks. Compare this with a wall that is completely finished.